Six (6) special-interest senators killed the owner-friendly HOA Reform Bill SB 1122 filed by Senator Alan Hays. Make no mistake: these are the same senators who don’t mind adding provisions over provisions to the HOA ACT (FS 720) – knowing full well that it doesn’t help any owners since they refuse to create an enforcement tool affordable for all homeowners – no matter rich or poor. Below is the list of senators who voted against giving residents of mandatory homeowner associations the same ability to file a complaint with the Department of Business and Professional Regulation (DBPR) against association abuse or wrongdoing, in the same way condominium residents are able to file association complaints with DBPR. These senators obviously don’t care if millions of their constituents live in Gulag-like communities, run by greedy attorneys, management companies and power-hungry board members who are only too often plainly ignoring the existing laws. These senators, led by Anitere Flores, an arrogant attorney, who always thinks she knows it all, plainly voted “NO” because she was afraid of what a campaign opponent may say. Instead of putting her constituents and the residents of homeowner associations first, she instead said she was not going to do what was right out of fear of losing her election! She voted “NAY” on a bill that would have definitely helped millions of Florida homeowners living in mandatory homeowners’ associations. As Senator Alan Hays pointed out in his presentation of the bill to the committee, he received piles of letters and e-mails telling him of abuses committed in HOAs. His bill was aimed at stopping these abuses. 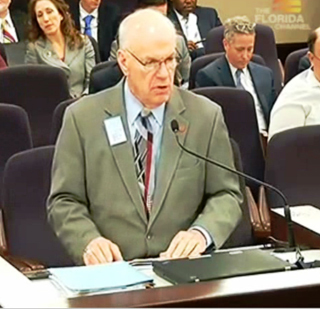 Watch the VIDEO of the Senate Regulated Industries committee hearing, in which Senator Alan Hays tried his best to fight for the rights of abused homeowners, only to be beaten by a senator afraid of reelection. Listen carefully: Her arguments would be just a joke, if the whole HOA history wouldn’t be so sad. With arguments like that she couldn’t win in any court room. Maybe that’s why she chose to become a legislator! And what specifically was she afraid of? The part of the bill that would pay for DBPR to receive HOA complaints and enforce compliance against abusive associations. Condominiums currently pay $4 dollars per unit for DBPR regulation and oversight. SB 1122 by Senator Hays, would have allowed $2 per parcel owner in an HOA to be charged, in order to cover the cost of regulation and oversight for homeowner associations. These senators had their say – now it’s our turn! With all forty (40) senators here in Florida up for election in November, it’s our time to be heard. 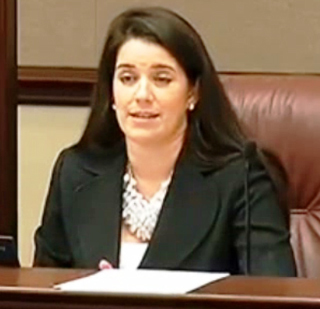 Let’s make an example of ANITERE FLORES, the Republican from Miami. She has a difficult race in her district with a strong, well-financed opponent. So, no matter if you tend to vote for a Republican or a Democrat, let’s vote against candidates who are willing to destroy our life-style and the financial welfare of our families. It’s time that people like Anitere Flores disappear to where they came from – and not run our lives as one of the forty senators here in Florida. Or look at JOSEPH ABRUZZO, a senator from Palm Beach County – together with Marion County a hotbed for serious complaints from HOA members. Lots of homeowners in that district lost their homes because they just couldn’t afford to fight for their given rights in court – but Abruzzo just doesn’t care. There is absolutely no other explanation for his “NAY” vote. The other senators voting “NAY” are known special-interest legislators, whose reputation is anyway down the drain. And after Senator Flores sounded the false alarm, five other senators agreed with her, and voted against homeowner association residents and voted for political expediency. These are senators who help to make our state “FRAUD FRIENDLY FLORIDA” where citizens are forced to live in Gulag-like communities. Please remember their names in November. Flores, Negron, Bradley, Bean, Stargel and Abruzzo. These are senators who think that justice should only be available to the rich who can afford expensive attorneys to sue their homeowner association in order to get them to do the right thing. Please remember this when it comes to cast your vote: Don’t vote for a certain party, vote for the persons. And these “persons” listed above have proven that they don’t have your welfare – and that of your family -- in mind. What they do have in mind, is their own political welfare! These kinds of legislators make our lives miserable – and they just don’t care. They are in it for power, money and influence – not for the good of their constituents! and give these senators a piece of your mind! Let them know how they harm Florida’s citizens with their refusal to protect homeowners living in mandatory homeowners’ associations against abuses.